How to Determine If You Have Termites? Termites are every homeowner's worst nightmare. Nobody likes hearing the news that these tiny insects have taken over their home. Here at Champion Termite & Pest Control, we want to help you understand what to watch out for when it comes to painful pests. Here are some warning signs you should keep in mind. If you listen closely, you may be able to hear termites going to work on your walls. Termite treatment and termite removal specialists recommend regular checks to make sure there are no pests lurking in the dark. Soldier termites emit a faint clicking sound as they bang their heads against the wood and communicate with one another. Make sure you put your ear up to the wall and listen closely! Also, the worker termites who devour through wood make noise as they munch away. You may be able to detect them damaging the home you love. If you hear something suspicious, you may want to call in the experts to have a look. The quicker you get the problem under control, the less time and money you need to spend in the long run. 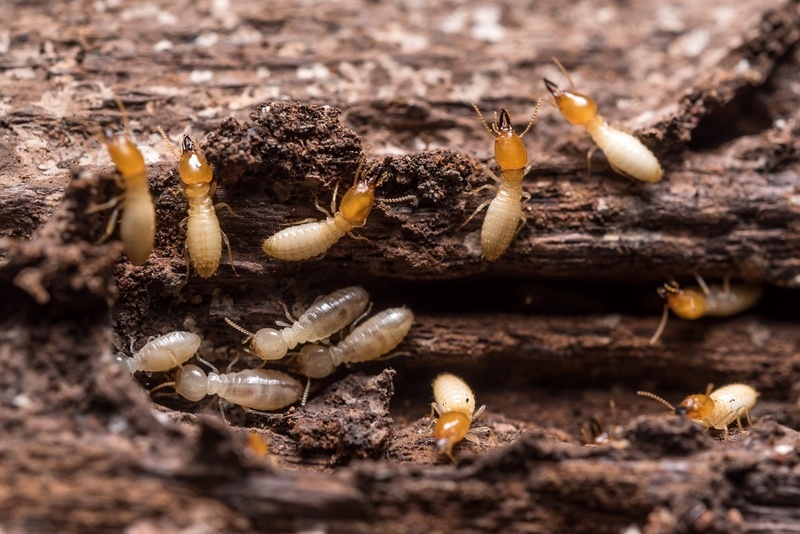 As their name suggests, Drywood termites make their home in dry wood such as foundations and door frames. They don't discriminate, and are happy to feed on any piece of wood they can find, from small furniture pieces in your living room to the very walls of your home. Experts in termite control in Middleburg, FL, say it's important to check for weak, hollow wood. That's because Drywood termites typically eat wood from the inside out, leaving behind a thin timber veneer or even just the paint. If you knock or tap on walls with termite damage, you will hear a hollow or papery sound. This is a significant sign of termites as the original timber has been eaten away, leaving a hollow wall in its place. Sometimes, people don't discover termites until it's almost too late. Damaged walls and door frames can signal the presence of termites. Although they are hard to see from the outside, tunnels in the wood is a surefire sign of termites. If you're doing any work on your home or happen to see damage to your wood, call in the professionals to exterminate the termites as soon as possible.